Went to see Ides of March last night which I won't really be discussing here because it's NOT BASED ON A BOOK! Suffice it say Ryan Gosling was typically terrific, Phillip Seymour Hoffman ditto. Clooney did a good job directing and I thoroughly enjoyed it even though we could all quibble with some plot points. That being said, BEFORE the movie, saw a super long and exciting trailer for David Fincher's version of The Girl with the Dragon Tattoo. According to IMDB, the release date is set for December 21. If you are one of the only people on the planet who has yet to read Stieg Larsson's incredible book, hook it up on your nook, or get it in paperback and start reading. You'll be done in a day or so, it's that riveting and exciting. And if the trailer (which frankly looks like it tells a tad too much) is to be believed, David Fincher's film will be as well. Looks like Daniel Craig will have a winner with this one - he needs it after two back to back bombs with Cowboys and Aliens, Dream House. Enjoy the teaser trailer - not what you will see at the theatres. And if you saw the 2009 Swedish version, directed by Neils Arden Oplev, do you think this American sequel is necessary? Did you enjoy the original? 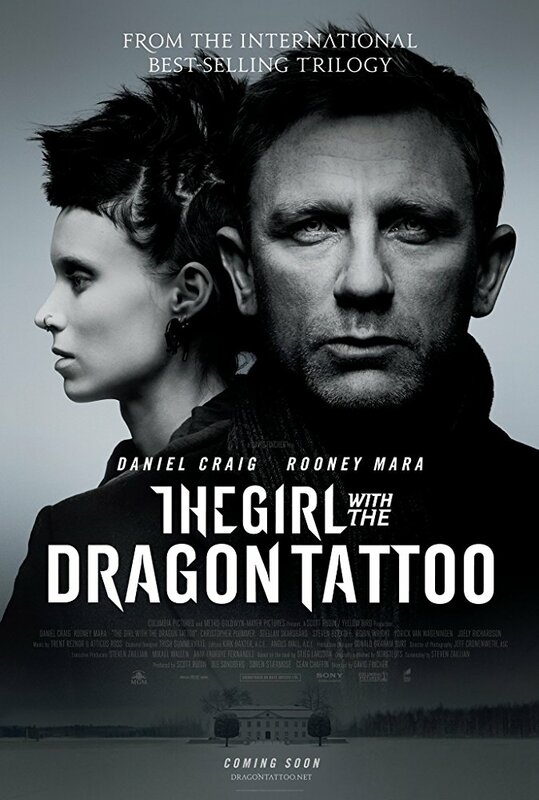 As good as I thought it was, I'm jazzed to see Fincher's version, looks polished, provocative and thrilling!